« UPDATED LOCATION: Join Us at International Neuroethics Society on Friday, Nov. 8, 2013 @ 7 pm. 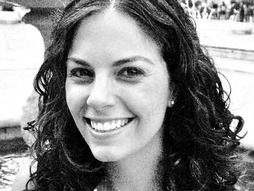 This blog post written by Julia Haas was originally featured on The Neuroethics Blog. Last month, as a recipient of the Emory Neuroethics Program Neuroethics Travel Award, I had the wonderful opportunity of attending the International Neuroethics Society Annual Meeting in San Diego, California. The conference brought together leading neuroethics scholars from around the world and focused on the themes of moral enhancement, disorders of consciousness, and the role of neuroscience in the courtroom. (The conference was structured around three star-studded panels. For a full program, please visit here. For full videos of the panels, please visit here.) There were also five oral presentations and a poster session. As part of the event, I exhibited a poster entitled “Revising Weakness of Will: A Reply to Neil Levy,” where I challenged Levy’s use of the theory of ego depletion as an explanation of weakness of will and provided an alternate, neurocomputational account. Presenting my poster at INS. The first panelist, Molly Crockett, is a leading neuroscientist working at the University College London and the University of Zurich. She is also in the process of setting up a lab at Oxford University. She explained that, as a scientist, the aim of her presentation would be to describe, “What it’s like, on the ground, doing this research.” In particular, she focused on how own area of expertise, which is in exploring how different brain chemicals influence moral behavior. To start off, she emphasized, “It’s complicated.” She described how, in light of her work on the neurotransmitter serotonin, people often ask her about the possibility of a morality pill. She explained that she often feels compelled to point out that both the moral behaviors in question and the biological systems underlying them are very complex. For example, she noted, her research on serotonin and sociality was picked up in the media in such as away as to suggest that “Enhanced serotonin biases moral judgment and decision-making toward sociality.” While not necessarily inaccurate, she explained, she also wanted to make clear that there is a lot more going on. In her talk, Crockett laid out three major reasons for why she believed a straightforward ‘science of moral enhancement’ would not happen overnight. First, she noted, there is ongoing discussion as to exactly what constitutes ‘moral behavior,’ and hence, what it is exactly that we would want to enhance if we could. Second, she detailed how that all the neurochemicals in question do many different things: oxytocin may enhance empathy, for instance, but also increase Schadenfreude in individuals participating in economic games. Finally, Crockett emphasized that moral behavior is highly context-specific. For example, it is not clear that we would want to be helpful to anyone we meet, wherever or whenever. There is a technical term for this kind of individual, she noted: “Sucker.” The audience loved the joke but also certainly appreciated the point. Like cognition, morality is so complex that it cannot simply be replicated in specific circumstances. In her own efforts to study morality, Crockett noted, she found it useful to hone in what she called “low-hanging fruits,” that is, on behaviors that almost no one would find to be morally objectionable. As an example of such a behavior, she discussed Peter Singer’s dilemma regarding the duty of easy rescue, where an agent passes a drowning child and decides whether to help or not. “These are a set of behaviors we would want to target if we could,” she noted. The second panelist, philosopher Patricia Churchland, is Professor Emerita of the Department of Philosophy University of California San Diego. Like Crockett, Churchland emphasized that she was skeptical of the idea of a ‘morality pill’ and argued against the claim that morality could be something like a “swiss army knife” set of moral modules. But she proposed to tackle the issue from a slightly different perspective, proposing to examine some of troubling issues surrounding the frequently touted molecule of oxytocin. Oxytocin is known to play an important role in childbirth, lactation, intimacy, pair bonding, and trust. In a recent study, researchers at Yale argued that “intranasal administration of oxytocin enhances activity in the brain for socially meaningful stimuli and attenuates its response to nonsocially meaningful stimuli in children with autism spectrum disorder (ASD) as measured via functional MRI.” But, Churchland argued, the issue is not so simple. To start, Churchland outlined some general problems with oxytocin and its recent popularity in both scientific research and the popular press. Its mechanisms are relatively poorly understood, it interacts with other neurochemicals, it makes female voles go into estrous, and there is very little known about the long term effects of its administration. In addition, she added, the general and unregulated availability of oxytocin makes it vulnerable to abuse. Nonetheless, the problems go even deeper for Churchland. The main body of her talk emphasized that how oxytocin is administered and measured in human beings plays a surprising role in how the molecule becomes understood, reported, and used by scientists in the field. In human beings, oxytocin is measured by comparing levels of the molecule before and after a behavioral manipulation. For example, a plasma sample is taken, the participant is given a massage, and then a second plasma sample is taken. Researchers then compare oxytocin levels to examine the effect of the manipulation. But how is oxytocin measured in these kinds of studies? Churchland explained there are two standard ways to look at plasma and measure oxytocin. She described the first method as the ‘gold standard,’ using a radioimmunoassay to “tag the thing in question” on extracted, highly purified samples. By contrast, the second method is commercially available and relies on a much easier-to-use enzyme-linked immunoassay (EIA). But it has the disadvantage of often not producing accurate results. In her conclusion, Churchland acknowledged that her talk may have sounded rather negative and, in general, a little bit too pessimistic about the neuroscience of morality. To counter this, she emphasized, “I think it can be done.” But she emphasized that it must be done with patience and care for those involved all along the way. All in all, in was an enlightening experience. 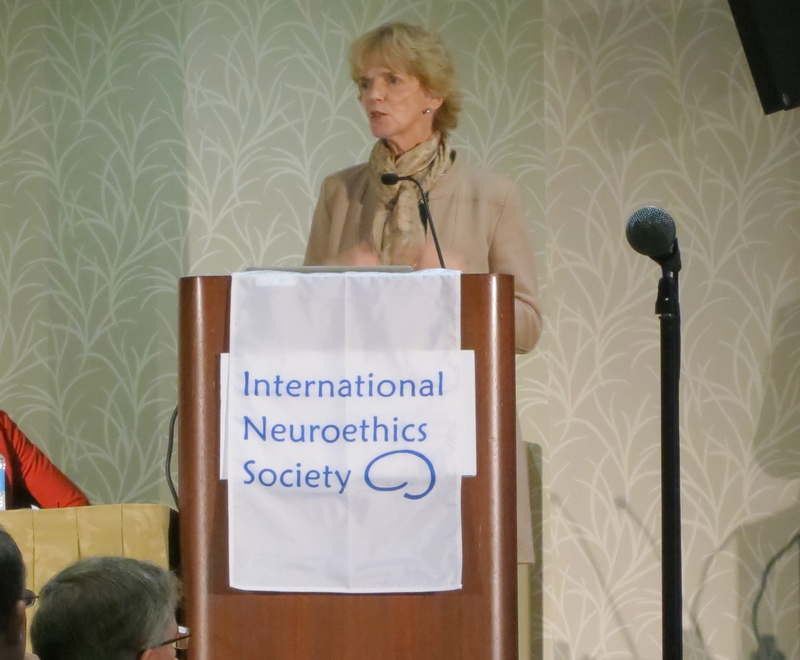 I’m already looking forward to the 2014 International Neuroethics Society meeting in Washington, DC! This entry was posted on December 12, 2013, 2:48 pm and is filed under conferences, enhancement, International Neuroethics Society, moral reasoning. You can follow any responses to this entry through RSS 2.0. You can leave a response, or trackback from your own site.